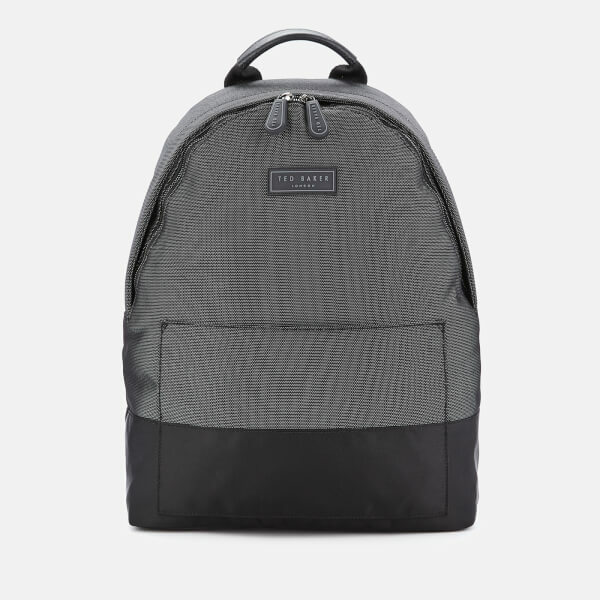 Two-toned ‘Karat’ backpack from British fashion label Ted Baker’s accessories collection. 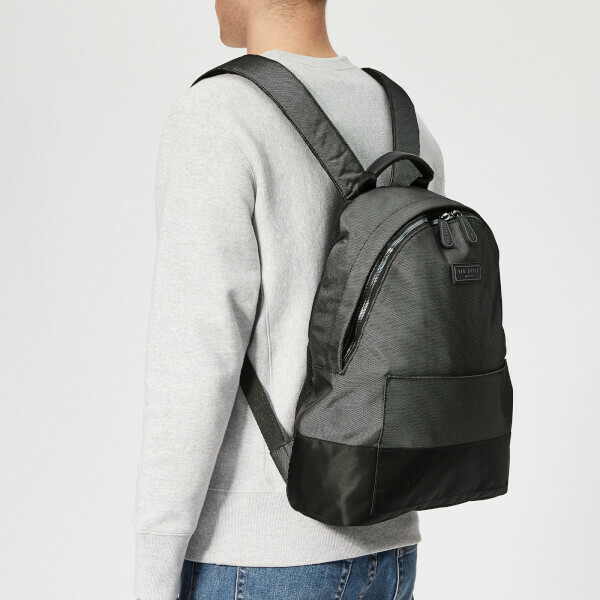 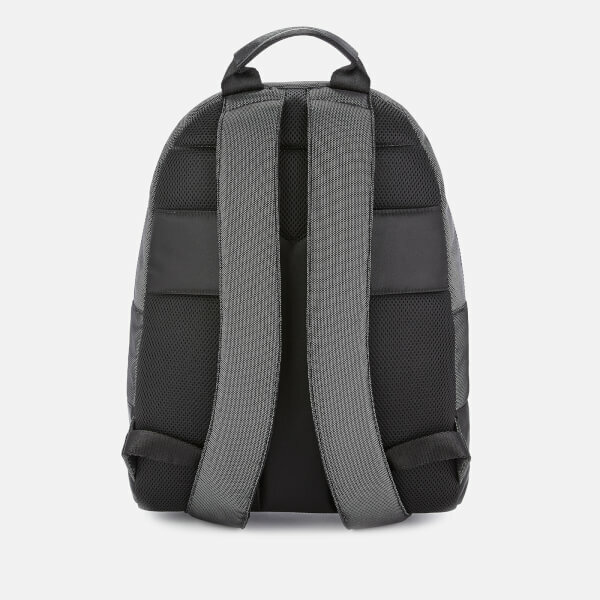 Designed in durable grey piqued nylon and black canvas, the rucksack features a patch pocket on the front, rolled top handle, adjustable shoulder straps and a mesh-cushioned back panel for comfort. 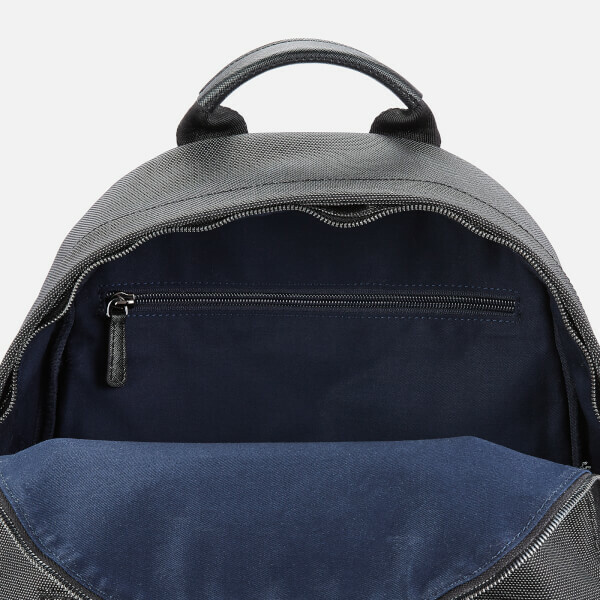 The roomy zippered main compartment is lined in navy blue ribbed textile and secured with a dual-way zip system with branded rubberised zip pulls. 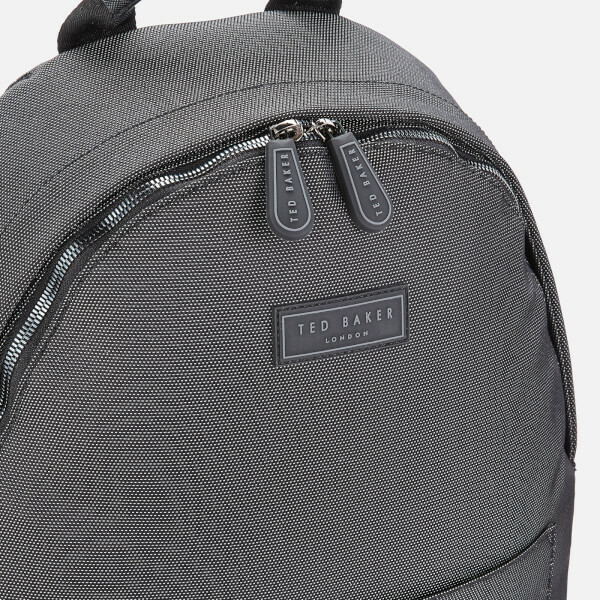 A logo patch on the front completes the design.